Lamp Inspection Machine is used to inspect to whether tablet or capsules are in good condition or not. Inspector can check them by eyes when tablet or capsule conveying on belt slowly. 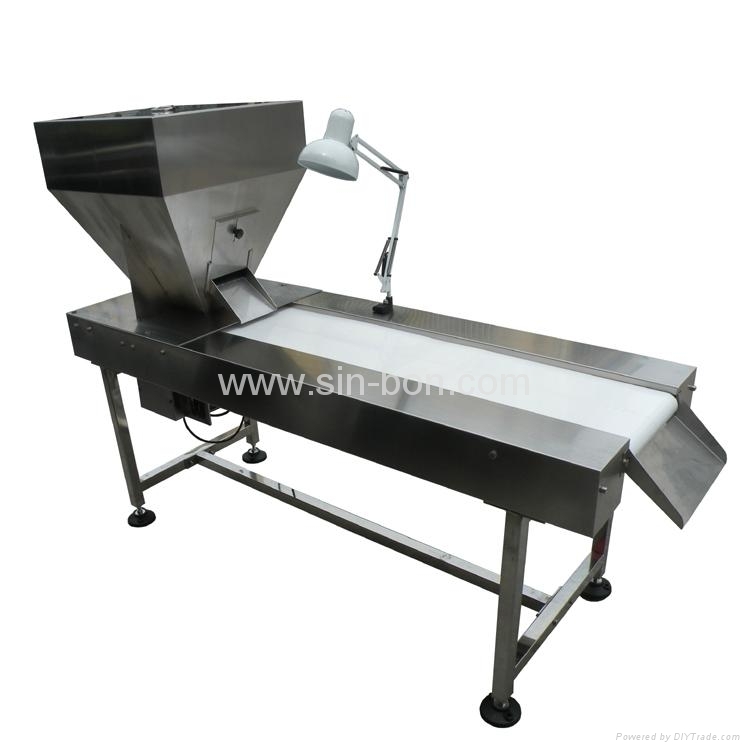 There is hopper to store and feed tablet or capsules to conveyor belt. Material contact parts are all used stainless steel 316 and other parts are used stainless steel 304, easy clean.